Daily Journal: This describes my morning routine, getting four kids 5 years old and under out of the house, while also getting ready for a day of work. After two drop offs for the kids, my Hubby and I take a ferry (most of the time together) into the city for work. It is during this time that I quickly note the highlights of the morning as well as begin my transition into work, thinking about the major things I would like to accomplish for that day. On my ferry commute home, I jot down my experiences during the working day and then I end the journal with highlights dealing with two pick ups for four cranky/hungry kids, trying to scurry some dinner together, hopefully get some quality play time, and whisk them up to bed. Whew. I’m tired just thinking about it. I used to post to this blog daily, Monday – Friday, however lately I feel like I miss several days at a clip and therefore post “recaps” of the week and talk about highlights from my work and the kids. 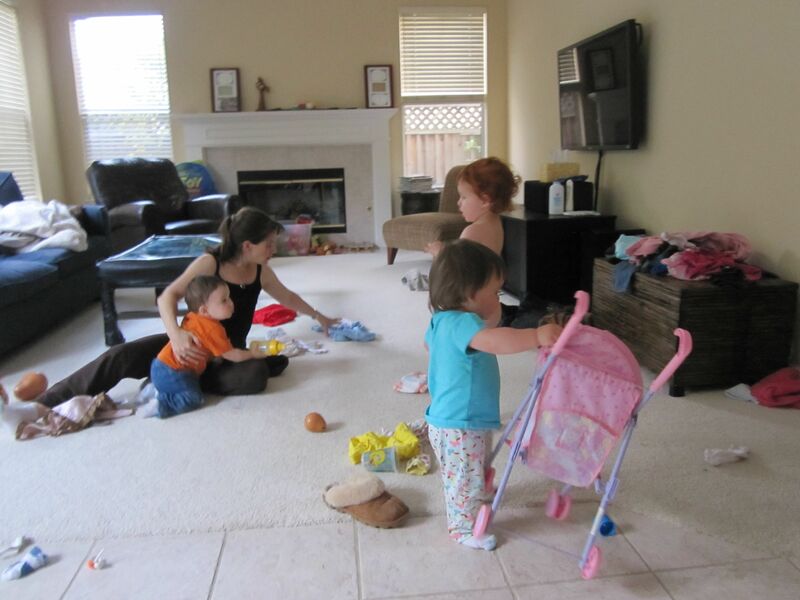 Staying Sane: After having four children (of which two are twins) I’ve tried mothering various ways, and have also been working as a mom for 5 years — so I feel that I do have some perspectives on what has worked (and not worked) at least for my family. I’d like to share and feel free to accept or reject – I have thick skin. And believe me I wish I could follow my own advice. It’s easier said than done. I try to post to this blog at least once a week and on Sundays. Retrospectives: This is the funny part of the site where I re-live some memories of my life before children. I feel fortunate to say that I’ve traveled to far, far, away places and have lived life with gusto as far back as I can remember. I am not as consistent here and will write something about my past when I feel inspired to do so. Random Thoughts: Many times I do not feel like an expert at anything (mothering or career) so I take this opportunity share my feelings and/or fears on various topics, and seek advice from our community. I post to this randomly. Recipes: I want to collect recipes from other working moms that are EASY to prepare and help our families to provide variety in our weekly meals. Think about meals that you can put together QUICKLY after work with cranky kids hanging on you and your workclothes. I am trying to keep to criteria that includes: 1) total prep and cook time of 30 min or less; 2) few ingredients; 3) few pans; 4) reasonably healthy; 5) kid-friendly. I welcome recipe ideas from the community so please send them my way! I post to this blog every Thursday. Please provide your recipe ideas either through the feedback form or send me an email at mamainmotion@hotmail.com. Gig Tips: As I find useful things on the web that I think are valuable to this audience, I grab the info and re-post in this blog. I post to this blog when I find useful information and not on a consistent basis. Contributions from Mamas In Motion: This is an area written by other working mothers on issues that are important to them. It is my hopes to build the community and offer readers the opportunity to contribute to this forum – and have other working mothers learn different perspectives on issues that may be important to them as well. If you have an idea of a piece that you would like to write and have published to this site, please contact me at mamainmotion@hotmail.com. I post to this area when I receive content from other Mamas in Motion. Go to each of these blog pages through the drop-down box below or through the home page – thanks! Thank you for visiting and let me know what you think! Thank you for visiting!!! This is seriously therapeutic for me but I really enjoy reaching out to people and interacting with other working mothers. We have so much going on – and we’re typically the “forgotten ones” in the family…. we need to take care of each other!